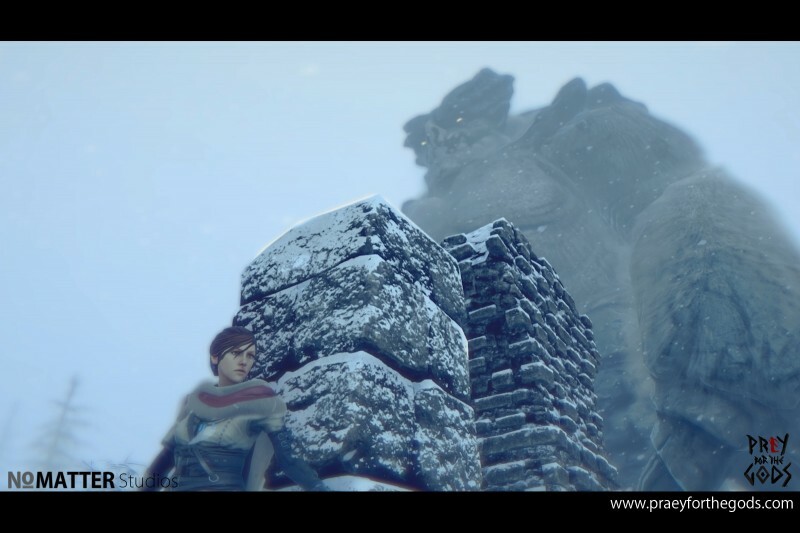 Praey for the Gods, the upcoming indie adventure title about being a particularly aggressive iconoclast, released a new trailer today after a period of silence. It seems like no news was good news in this situation, because Praey for the Gods is about to hit Early Access on Steam, becoming purchasable for players who have long been interested in the unique title in just a few days on January 31. It won't be too long before you get your hands on the Shadow of the Colossus-like gameplay. You might be a little confused about the title, as the game was previously known as "Prey for the Gods." Turns out, Bethesda has trademarked the word "Prey" in game titles and, from their account, have "no choice" in defending that trademark. To avoid a lawsuit, the developers at No Matter Studios were forced to change the name to the slightly more awkward "Praey," thus kind of losing the pun in the process.